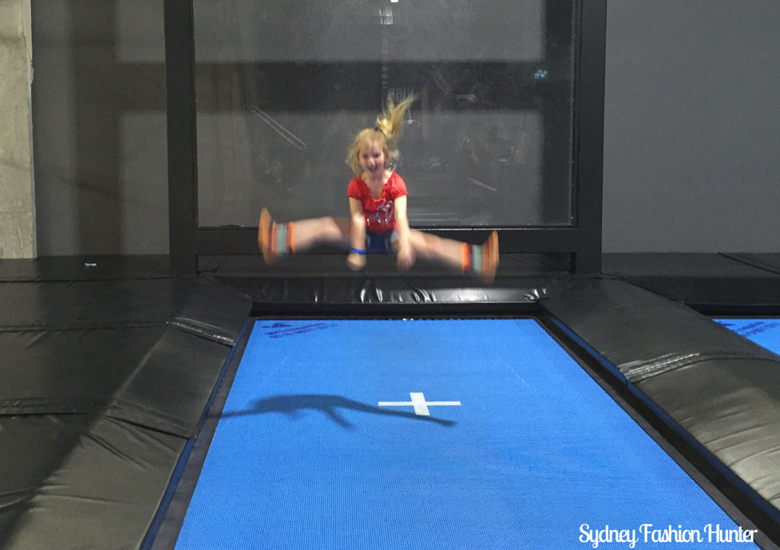 Skyzone Miranda is a trampolining mecca! 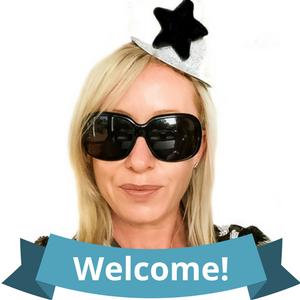 It’s brand new, state of the art and purpose built for fun. 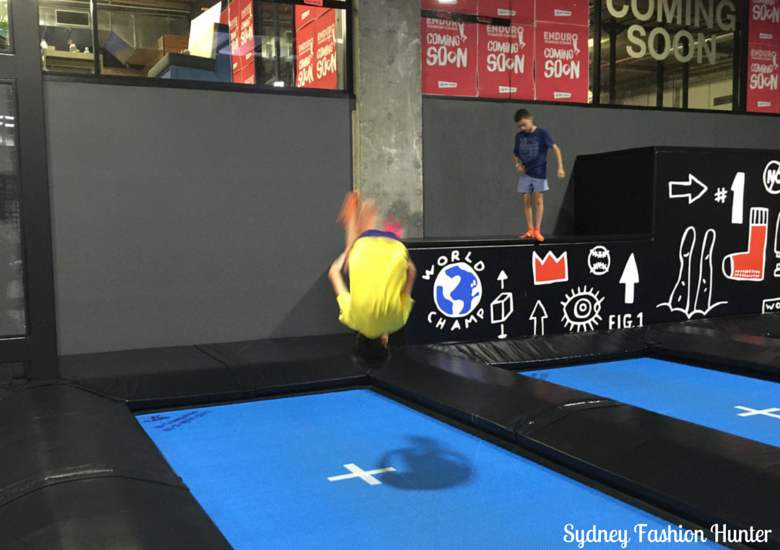 Skyzone is the world’s first indoor trampolining park and Miranda has more than 100 interconnecting trampolines making it possible to literally jump off the walls. 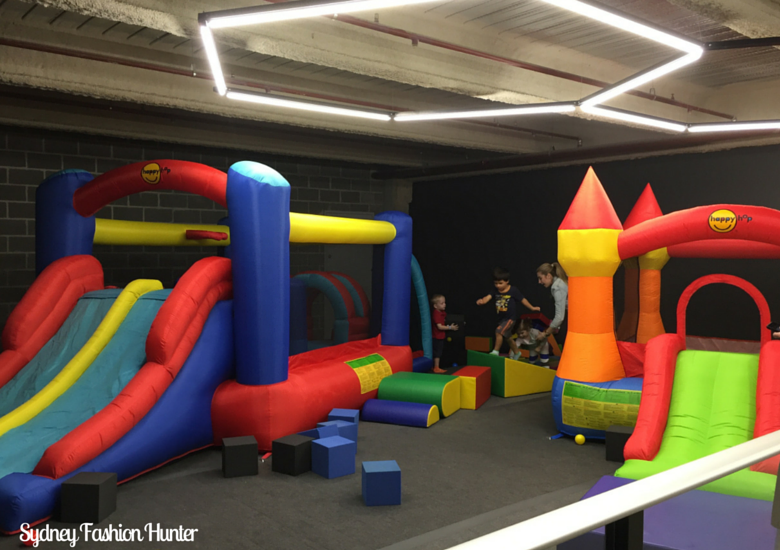 With themed areas such as stratosphere, the pit, the dodgeball zone and the wall there is something for jumpers of all abilities. If you are more inclined to climb than jump, don’t worry, they got you. The Enabler, The Co-Conspirator and I bundled their mini me’s into the cars and headed in search of some fun. 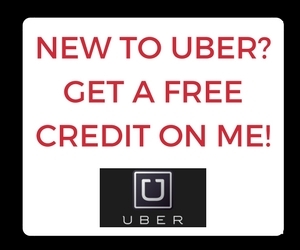 We made a 5pm booking online (very handy!) and the girls in particular were on a knife’s edge all day. Maybe we shouldn’t have given them quite so much advance notice! We arrived half an hour early as instructed and headed straight for the queue. Even though there were only two groups in front of us it took quite a while to get to the front. I’m not sure what was going on, but five people were behind the counter and only one was serving. They could really use an express queue for those that have booked and paid online. Socks and wristbands were issued and we were instructed to wait downstairs for our colour to be called. The PA announcements were incredibly difficult to understand and we just assumed the garbled sound at 5pm meant it was our time to go. The kids had a blast and over the course of the hour they made their way through each of the zones. While there were plenty of people in attendance it never felt full and the kids certainly had no dramas getting on any of the equipment. 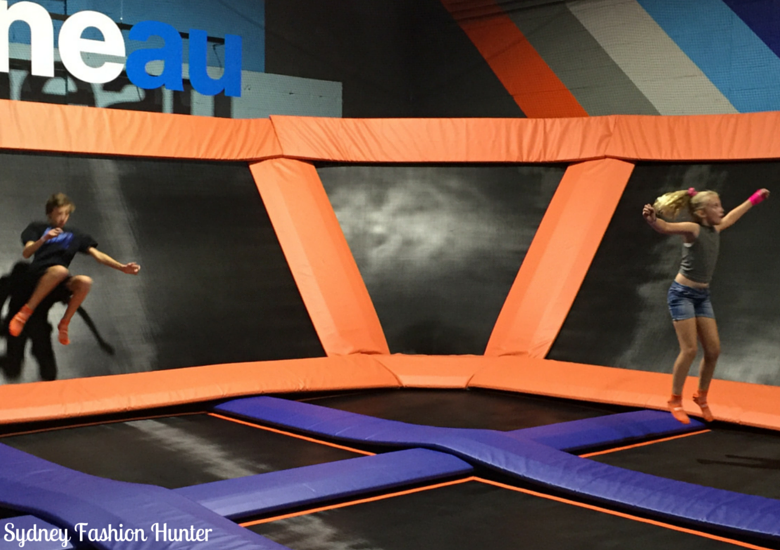 Skyzone Miranda is the perfect place for kids parties and spacious booths will handle all the party goers in style. The littlest visitors are catered for in their own inflatable zone that looked like a whole lot of fun. We left with 4 exhausted kids and promises that the ‘grip socks’ will most definitely be used again. 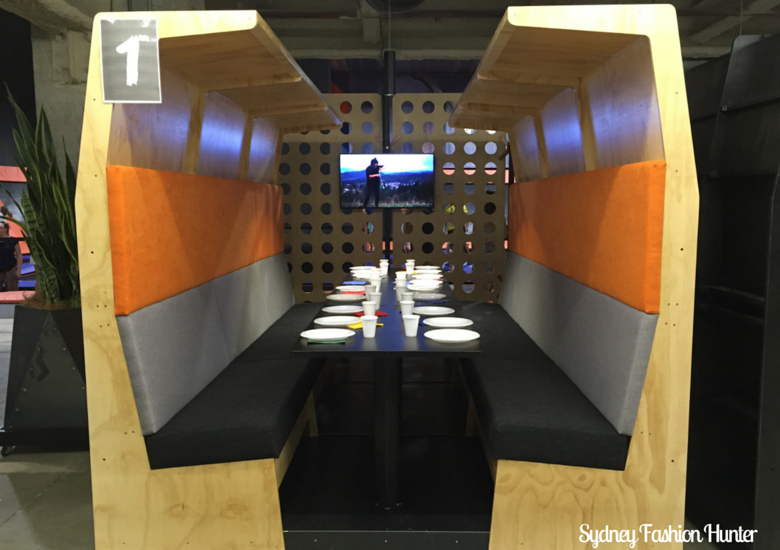 SFH – What score would you give Skyzone Miranda out of 10? 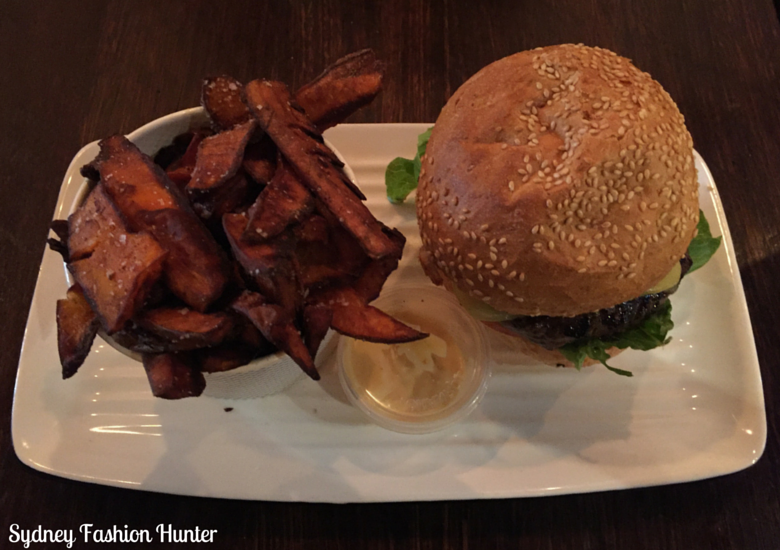 SFH – What was the best bit? 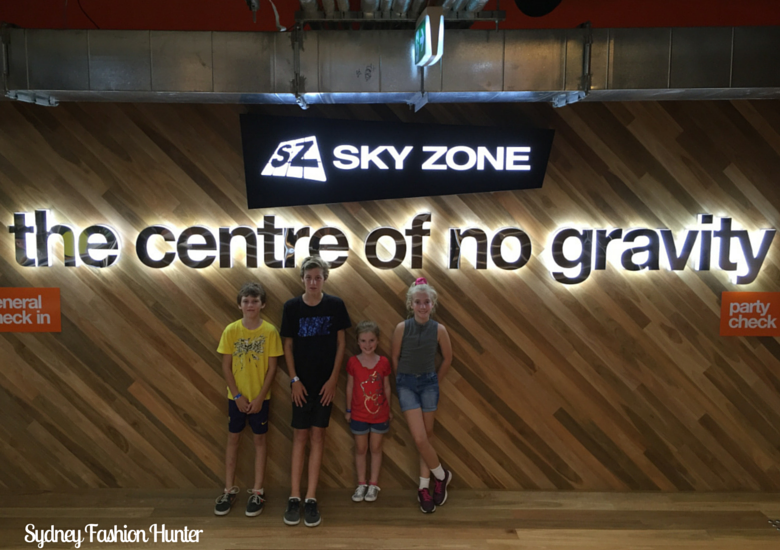 SFH – How long is the perfect amount of time to spend at Skyzone Miranda? 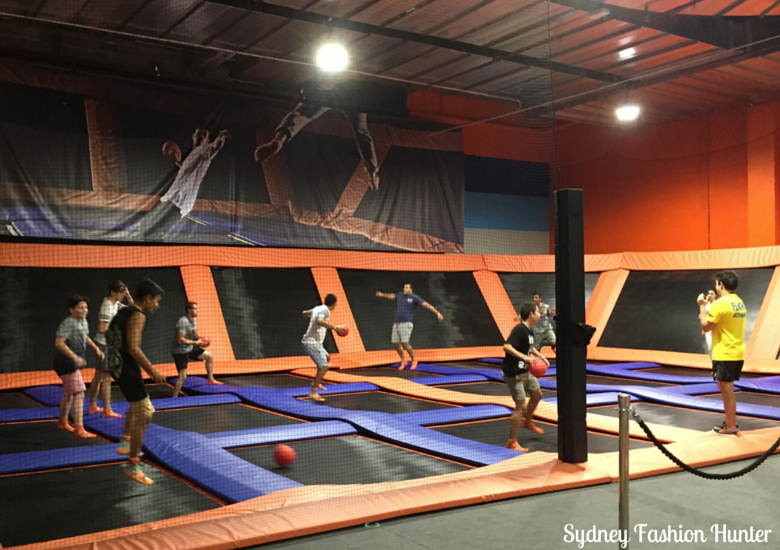 SFH – Would you recommend Skyzone Miranda for a party? 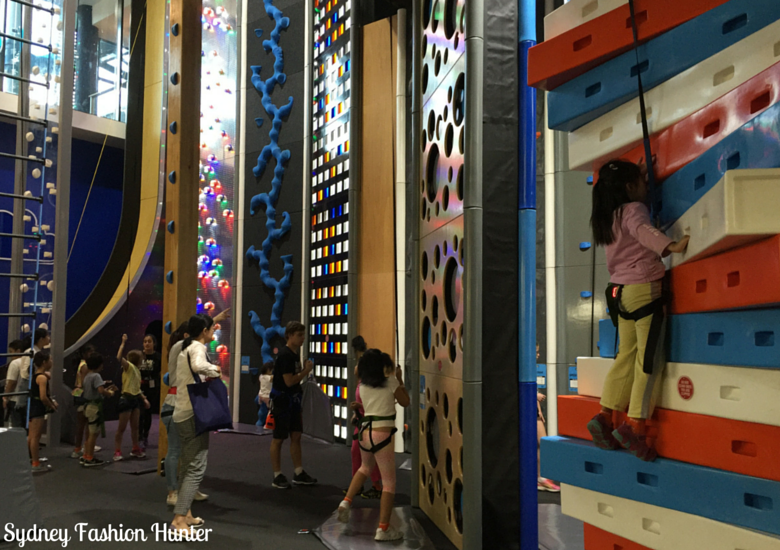 SFH – Would you like to try the rock climbing? C – When I finished I was sweating. A – It was fun. H – I landed a front flip. 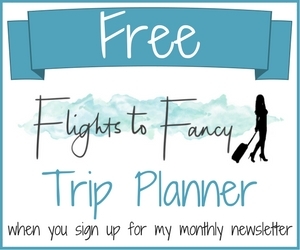 J – Better than flipout. 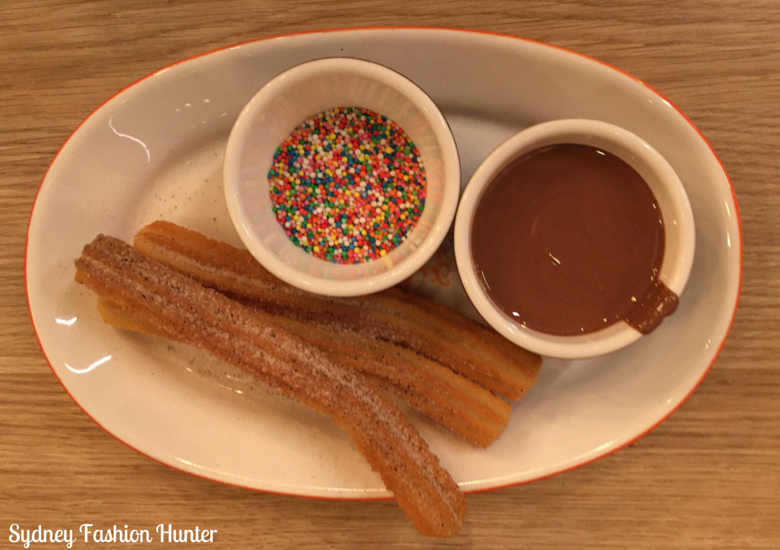 Jumping non stop for an hour sure works up an appetite so we headed to the rooftop for some burgers from Grill’d and finished the night off with ice cream and churros from San Churro. I think its safe to say a great night was had by all. 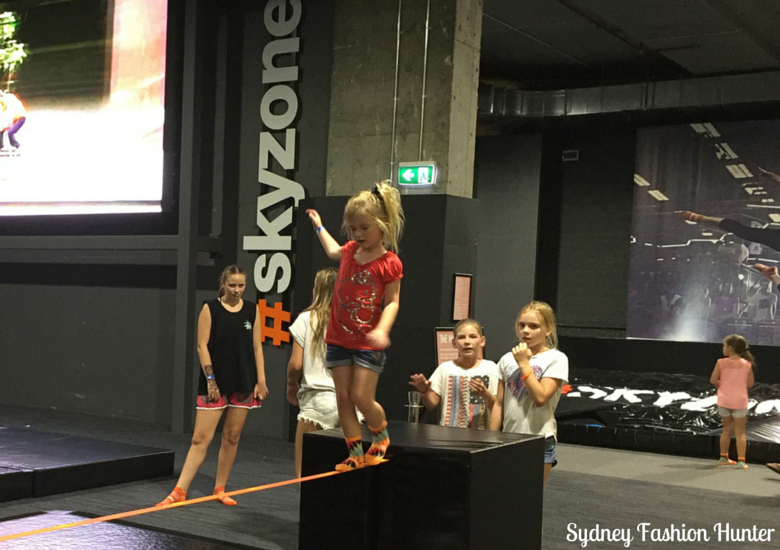 So will you be heading to Skyzone Miranda these school holidays? 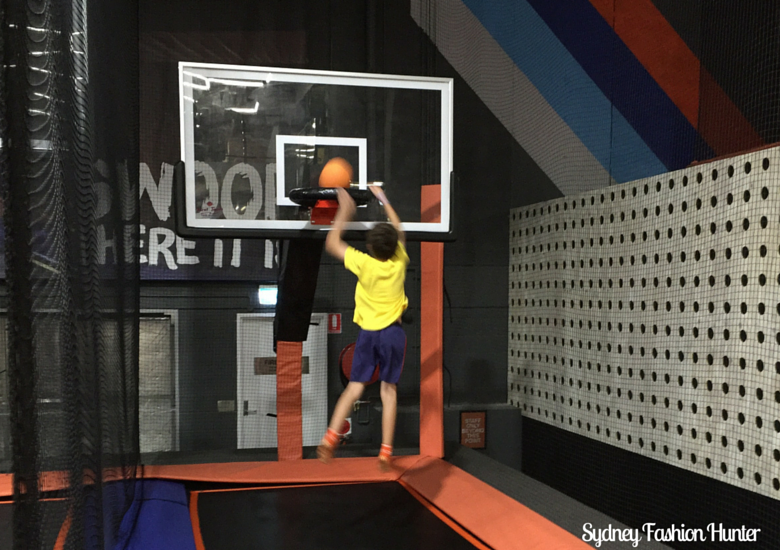 Disclaimer: My jumpers were guests of Skyzone Miranda. 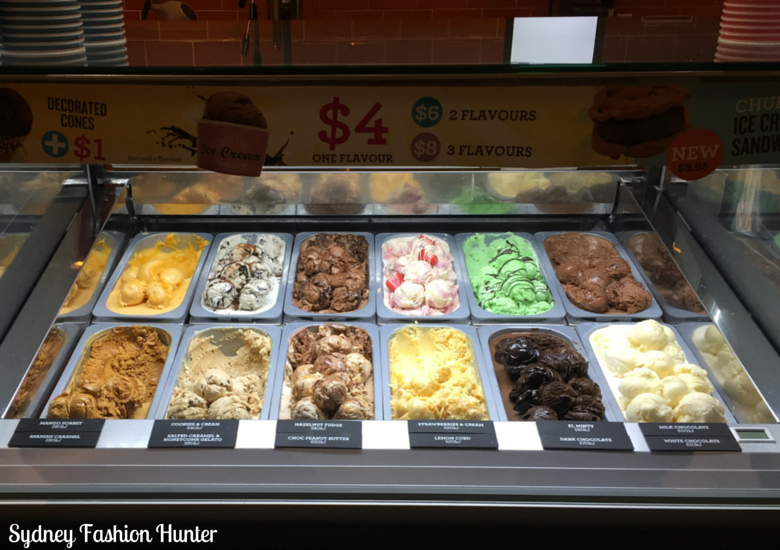 All opinions are their own … Especially Ms 6 who certainly knows her own mind!